Telegram for Android is a mobile branch of the messaging service for Google platform. Started as a project for iOS environment only in 2013, Android version has also been presented to public later. Currently Telegram is a wide-spreaded cross-platform messenger compatible with all common desktop and mobile operating systems. 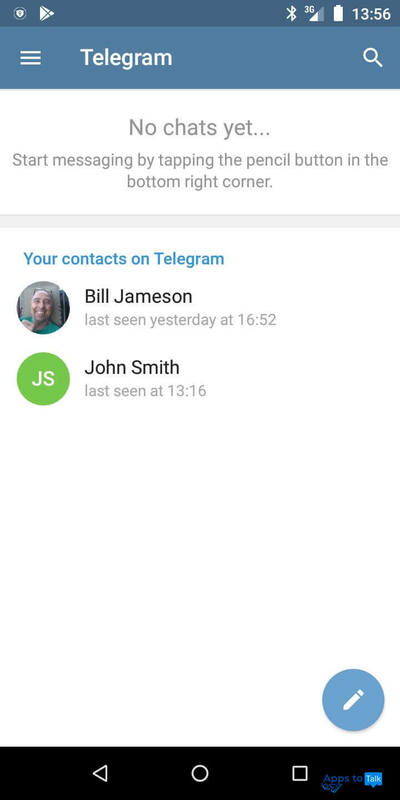 Just download Telegram for mobile and you will see the difference! Responsive, logical and vivid interface with an accent on frequently used modules and libraries. 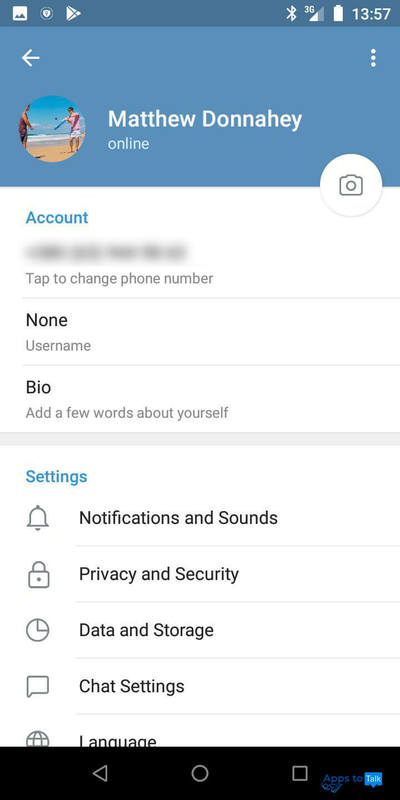 An ability to make audio calls, arrange text chats, share media, documents and any other types of files you need (EXE, MSI, APK), record voice messages. Syncing between multiple devices (phone, tablet, PC or laptop) that let you connect to the app from several gadgets simultaneously. Unrestricted size and duration of text messages/media and voice calls respectively. Full privacy and anonymity in the web. Thanks to highly protected encryption, new Telegram is one of the best apps for chatting without worrying that your conversation will be leaked to media or state authorities. More than that, all your messages can automatically self-destruct after a specified time period. High speed of processing and operating. The client delivers your messages faster than any other messaging service, which puts another plus to the developer’s piggy-bank. Free download, installation and usage of the program — its ads-free, without in-app micropayments or subscription fees. A secure and protected way to share messages with your partners or colleagues. Outstanding abilities for social networking and business. 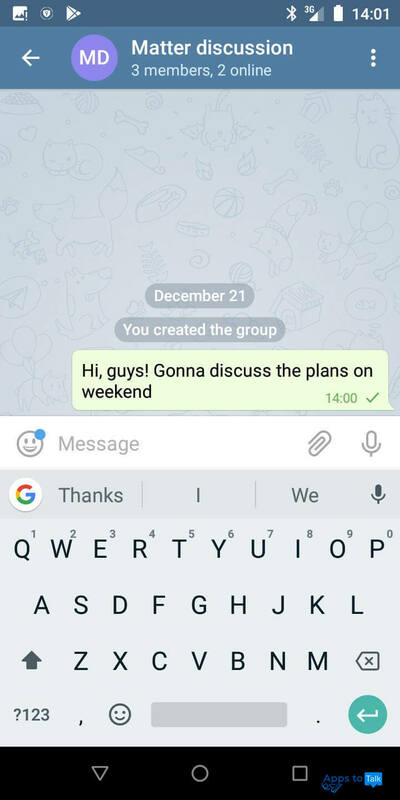 In Telegram, you can coordinate groups (or public channels) with up to 100000 members. The info regarding group members can not be shared with anyone, the only exception is the admin of the group. Another interesting mechanism is bots — basically tiny scripts that assist in automating the common routines, such as bank transactions, search within the web or integration with other services. You can use either built-in bots, such as @CommentsBot, @vote or @like, or create new, personalized bots if you require some special feature to be embedded to your website or app. Global multi-language localization. Currently, the project’s interface is translated onto more than 15 worldwide languages and dialects. More languages are still to come. Open-based API and protocol available for everyone. Open-source distribution of client-side code gives you a chance to build your own tools for Telegram and rejoice another successful start-up. Due to full security and anonymity of the messenger, several authoritative countries have tried to block Telegram on their territory, but these efforts have still not been successful. Currently, the jurisdiction of these states doesn’t allow sharing encryption keys to the third parties, and the closed-source proprietary distribution of the server doesn’t give a chance to hack the messenger from outside. When you download Telegram app for Android, you get the latest scalable, solid and reliable software solution for smartphones that offers you multiple amazing opportunities for communication with safety and convenience.